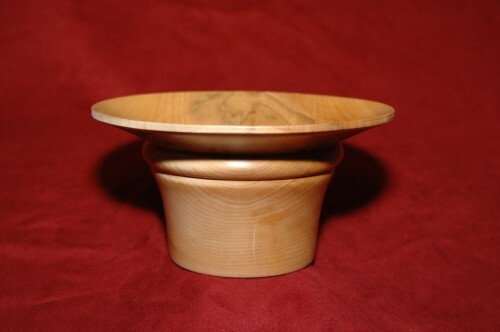 This bowl has beautiful lines and yet it is a little rustic (see close up photo of flange below). 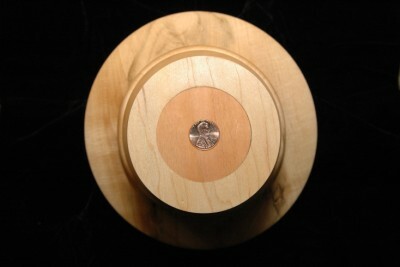 The flange measures approximately 7" in diameter and the inside is approximately 3"
The bottom of the bowl has a 2.25" diameter Cherry disk, with a 2009 penny embedded in it as shown below. We have not yet set up our shopping cart.